Times are changing. Back in the day, if you wanted a small-ish, two-door ‘sports car’ with cosmetic zest and a sprightly set of lungs under the bonnet, you’d head to your nearest BMW showroom, put your deposit cheque on the counter, and that would have been that, this being a time when the idea of a Cadillac performance coupe was an oxymoron and Mercedes-AMG just made straight-line hot-rods. But boy, how the landscape has changed since then. Today in fact, the BMW M4 before us very much represents ‘the old money’ in our trio. 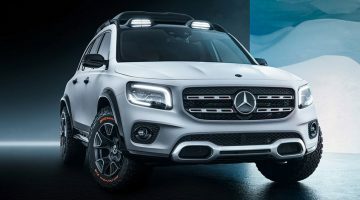 It first appeared in 2014 and is thus three years closer to the scrapheap than either the new Mercedes-AMG C63 S Coupe or the Cadillac ATS-V, the former of which has been playing performance roulette with its Stuttgart brethren since the late 1970s and returned last year with significant technological hardware in tow. Throw in a veritable underdog from Cadillac, and it’s got us wondering whether BMW’s days at the top of the mountain are numbered? Indeed, take but the smallest of glances at the cribsheets, and the M4 is already on the backfoot. 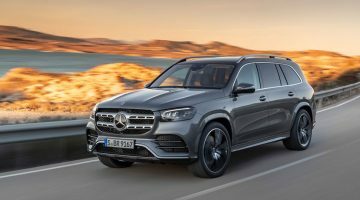 Its 3-litre TwinPower Turbo straight-six is the smallest capacity against the Cadillac’s 3.6-litre turbocharged V6 and the Mercedes’ rather brutish 4-litre bi-turbo V8. The Beemer’s six-cylinders produces 425bhp and 406lb ft of torque, some 33bhp and 39lb ft down on the 458bhp Cadillac ATS-V and a quite incredible 78bhp down on the new 503bhp Mercedes-AMG C63 S Coupe (516lb ft). The big numbers continue, the C63 S and ATS-V, rather bizarrely, each tipping the scales at 1725kg apiece, the convertible packing on 253kg over its hard-top stablemate, but nevertheless weighing in at a respectable 1750kg. 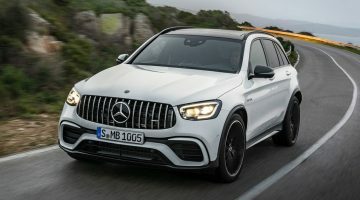 Consequently both the welterweight Caddy and AMG hit the ton in an identical 3.9 seconds, the M4 breaking the tape just two-tenths behind them. Game on. We cannot display this gallerySurprise surprise, our location of choice is the Jebel Jais stretch of mountain road that snakes its way through the Ras Al Khaimah mountains, the noses of both the Cadillac and Mercedes looming almost menacingly in the Beemer’s rear-view mirror as we get underway. How appropriate. As the BMW is the one with a bull’s eye on its back, it’s not too difficult to guess which keyfob I reach my clammy mitts towards first. Swing the door open, and the cabin design remains among BMW’s highest accolades. A button-heavy centre console and slightly illogical infotainment system means the setup feels a little dated, but ergonomically, and in terms of quality, the M4 is spot on. Chalk up a top rate driving position too, plus plenty of head and legroom. Unsurprisingly, its German rival offers much of the same, with a top quality build and superb driving position, even if the AMG sport seats border on being too stiff. Arguably the C63 S’ infotainment setup is less maddening than the BMW’s too, even if the touchpad/rotary dial combo is perplexing at best and just plain baffling at worst. It’s the centre console that disappoints though, the otherwise elegant and minimalist design negated almost entirely by the after-thought non-touchscreen mounted to the dashboard. Pushing ahead is the Cadillac. The dashboard may not have quite the same whiff of European quality as its German rivals, but it’s a straightforward setup that’s easy to navigate, complete with hidden cubbyholes and wireless charging ports for your phone. The haptic-infused Cadillac User Experience infotainment system meanwhile is marching towards its sixth birthday but still proves very easy to use, while the seats, for all their lower back support, are also surprisingly comfortable. The aggressive roof rake means head and legroom throughout the cabin are limited, but still, it’s a solid kickoff for the American upstart. The tables do spin back in BMW’s favour when our drive actually begins. Through Jebel Jais’ opening stretch of fast straights and corners, the mass reserves of M4 mechanical grip show their presence. The M4’s front end simply refuses to yield, beautifully weighted steering transmitting endless feedback through the column straight to your fingertips, though the relative lack of yaw mid-corner and a very stable chassis mean it’s very easy to feel the car beneath your seat too. Slightly overly power-assisted steering mean you’re better off sticking with Sport+ when really opening the taps – steering heft in both Comfort and Sport mode is lacking in drama – but to this particular writer, it’s easily the best handling of the three. I’ll come back to that later though as there’s a fly in the Bavarian ointment. Though it’s the ‘least powerful’ here, the turbocharged straight-six is still monumentally grunty, starting up with an almost raucous flurry of revs before calmly continuing to build its momentum more progressively. All very well, and you certainly couldn’t say that, into triple digits, the M4 isn’t a serious hauler. Problem is, it’s only when you’ve dipped over the 4500-5000rpm mark and really felt the straight-six beginning to strain at its bridle that you feel just what an impressive engine this is. Part of this blame can be lain on the floor of the smaller M2, whose 365bhp single-turbocharged example feels vibrant – even slightly wild – from deep in the bowels. With the M4, it’s hard not to feel like the best of that straight-six can only be felt towards the top end. Through Jebel Jais’ higher speed corners, it’s a revelation, but through the slower switchbacks, you’ll find yourself working the gearbox hard to keep the revs on the bubble. Stepping out of the M4 and into the C63 S, it’s impossible to start anywhere other than that bi-turbo V8. It’s the largest capacity engine here, the only eight cylinder example, and easily the most fiery and aggressive. Press the loud pedal and the revs begin to build with a wave of pure, rampant torque and ferocious horsepower, the wonderfully blunt V8 growl more dramatic than the more mechanically – dare I say ‘soulless’ – rumble of either BMW or Cadillac’s six-cylinders. Amazingly, the Mercedes’ V8’s anger just continues to build. Nothing about this engine feels restrained, and the drama in the M4’s upper revs is always felt throughout the C63 S Coupe. Nobody seems to have told this V8 that it’s hauling around 1725kg.